I have a meeting on site tomorrow morning with the contractors who will be building the project in Sutton and one of the things I need to do whilst I am there is to agree the colour of the resin bound aggregate that we are planning to use for the driveway. So what is it? Well, quite simply, it’s what it says on the tin…aggregate (gravel) which is bound together with a clear resin. The result is a surface that has a similar appearance to gravel but is neater, easier to keep clean and doesn’t attract the local population of cats! It is available in many colours and finishes so you can be sure that it fits in well with any paving, the colour of the house and other materials in the garden but, like tarmac, because it is a flexible material it needs something to retain the edges. Setts or brick edging work really well but you can also use a simple timber or metal edging such as EverEdge. There are various companies that offer resin bound surfaces, SureSet and Addagrip to name but a few, and they are very happy to send samples or pass on details of local completed projects so that you can go and have a look at the finish in situ. If applied to a suitable sub-base (and each company will give guidance for the preparation of this), resin bound surfaces are permeable and therefore comply with driveway planning requirments whereby installers must ensure that driveways over 5m² are compliant with SUDS (Sustainable Urban Drainage Systems). 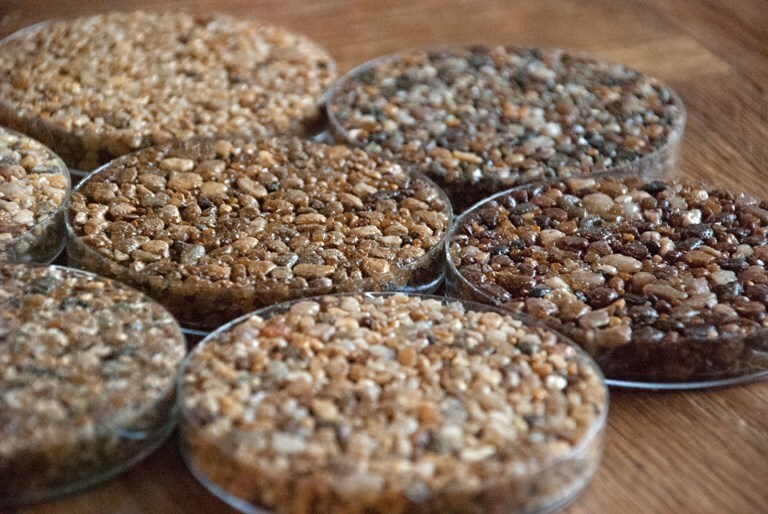 Addagrip also offer a resin bonded aggregate which gives a more textural finish (the aggregate is scattered over a layer of resin and, once set, the excess stones are removed) but, being impermeable, you would need to seek planning permission prior to installation. What a wonderful website you have, I loved reading your blog and I’m extremely pleased you have mentioned the company I work for (SureSet) within the ‘elegant driveway solutions’ piece, thank you. Thanks Yvonne, glad you enjoyed reading – always a pleasure to mention good products!